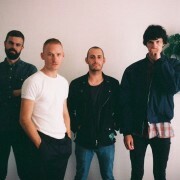 Gold Class and Demi Louise from Melbourne and Methyl Ethel from Perth are the first three Australian acts announced by SXSW to showcase at the 2016 festival. Matt Corby has returned to his cottage in Berry Mountain to create his new video for the song 'Monday'. Taylor Swift feels "lucky" to be liked by the public and so she should with a $1 million a day pay packet. The original members of Taste, Ken Murdoch, Joey Amenta and Michael Tortoni will reform for shows in Sydney and Melbourne in November and December. The Scorpions are the latest act to tell their story in a documentary. 'Forever and a Day' will be released on home video November 27. Adele reportedly channelled her heartbreak over a former flame into the lead song from her new album. Singer Gwen Stefani doesn’t care what music is popular at the moment and is solely focused on making an album that is “pure and honest”. Noel Gallagher’s High Flying Birds have announced they will tour UK arenas next year, with special guests Super Furry Animals. One Direction were forced to cancel their show in Northern Ireland on Tuesday night (20Oct15) minutes before the concert, as singer Liam Payne had fallen ill. Pop star Joe Jonas appreciates the “unique situation” his second chance at a music career has afforded him. The legendary Black Sabbath - Ozzy Osbourne, Tony Iommi and Geezer Butler - will be returning to headline Download Festival 2016 on Saturday 11 June. On October 30, Anthrax' second album, Spreading the Disease, will turn thirty years old and, in celebration, the group will release a deluxe 2-CD edition. The third annual The Age Music Victoria Genre Awards will be announced on November 11. The awards nominees have been announced. 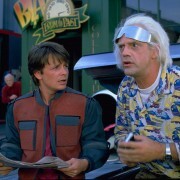 In the 1989 movie ‘Back To The Future II’ Doc Emmett Brown takes Marty McFly and Jennifer Parker into the future … October 21, 2015. Tomorrow the world will catch up with Marty McFly’s future. The Falls Festival in Lorne is already sold-out but here are 28 more acts you will see if you scored a ticket. The UK's Download Festival 2016 has announced Iron Maiden as festival closing headliners on Sunday 12 June 2016. Blur's New York shows will be released as the documentary 'New World Towers'. The Glastonbury Festival has raised around $225,429 for refugees. At one point, George Harrison's catalog was available on a number of the streaming services but it was slowly withdrawn a few years ago. Noel Gallagher's High Flying Birds, Royal Blood, Florence + The Machine were all winners at this year's Q Music Awards. 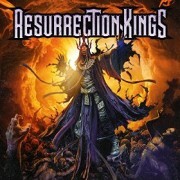 The word supergroup has kind of lost its meaning over the years so let's just call this what it is...four great musicians coming together in a world class group. 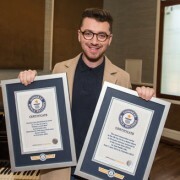 Singer Sam Smith has shown of his Guinness World Records win in a new photo, posing with his certificates. Q has today revealed that they will be recognising heavy metal pioneer and legendary Black Sabbath guitarist Tony Iommi, who will be receiving the annual Gibson Les Paul Award. Will Young is singing about transgender issues on his new song 'Brave Man'. Is Sean Penn Stalking Madonna Across Europe? Sean Penn could reportedly be following Madonna to Europe on her Rebel Hearts Tour, as sources claim they are reigniting their romance. 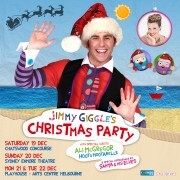 Jimmy Giggle, superstar to pre-schoolers, is heading out for live dates in December. Sydney’s Out On The Weekend festival scheduled for this coming Saturday has been cancelled. 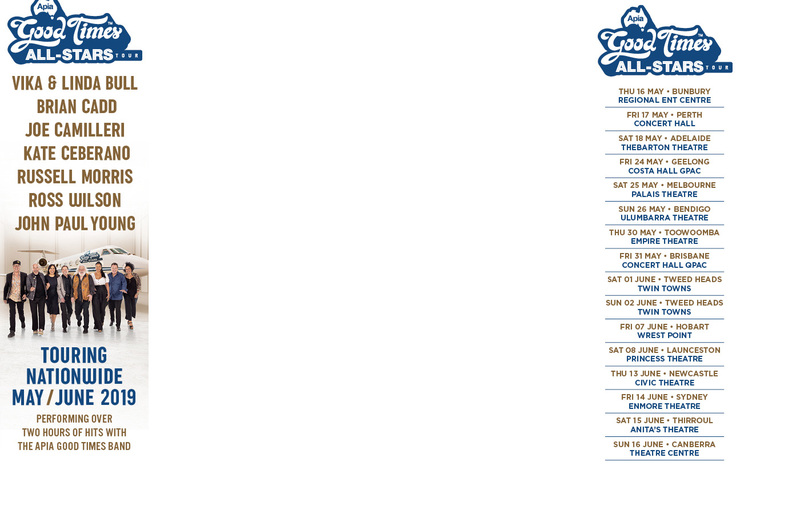 City & Colour will tour Australia in 2016. Gwen Stefani performed at MasterCard's Priceless Surprises show on Saturday night at the Hammerstein Ballroom in New York, debuting a new ballad, I Used to Love You. Kanye West has made an advertisement from Australia’s David Jones department store chain.